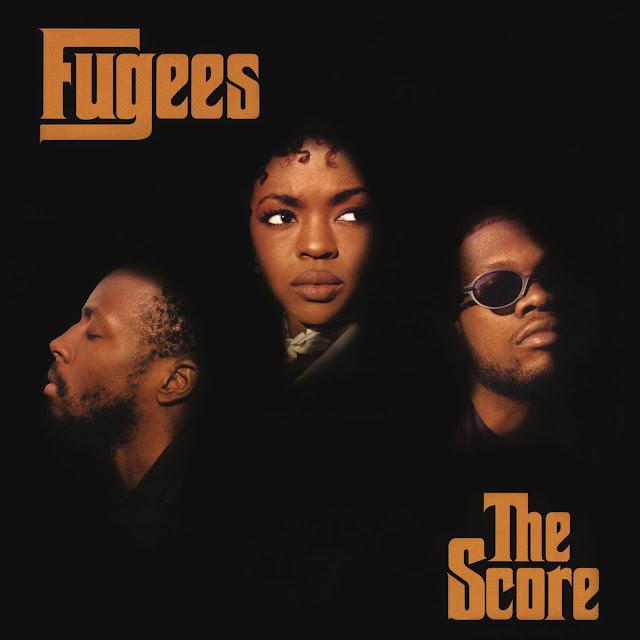 The Score este cel de-al 2-lea și ultimul album al trupei Fugees și a fost lansat în data de 13 februarie 1995, prin Columbia Records. "Ready or Not" contains samples of "Boadicea" by Enya, "God Made Me Funky" by The Headhunters, and an interpolation of "Ready or Not, Here I Come (Can't Hide from Love)" by The Delfonics. "Zealots" contains a sample of "I Only Have Eyes for You" by The Flamingos. "The Beast" contains a sample of "God Made Me Funky" by The Headhunters. "Fu-Gee-La" contains a sample of "(If Loving You Is Wrong) I Don't Want to Be Right" by Ramsey Lewis, and an interpolation of "Ooo La La La" by Teena Marie. "Family Business" contains a sample of "Recuerdos de la Alhambra" by Francisco Tarrega, and "Gypsy Woman" by Joe Bataan (on the outro interlude). "Killing Me Softly" covers "Killing Me Softly with His Song" by Roberta Flack, and contains samples of "Memory Band" by Rotary Connection, "Fool Yourself" by Little Feat, and "The Day Begins" by The Moody Blues (on the outro interlude). "The Score" contains samples of "Dove" by Cymande, "My Melody" by Eric B. & Rakim, "Planet Rock" by Afrika Bambaataa, and "Scorpio" by Dennis Coffey and the Detroit Guitar Band (on the outro interlude). "Cowboys" contains a sample of "Something 'Bout Love" by The Main Ingredient. "No Woman, No Cry" covers "No Woman, No Cry" by Bob Marley & The Wailers. "Manifest" contains a sample of "Rock Dis Funky Joint" by Poor Righteous Teachers.